Over 14’s Only. Under 16’s must be accompanied by an adult – Standing Only. The Vaccines announce 2019 UK dates. Tickets go on general sale this Friday (26th Oct), with fan pre-sales going live on Wednesday (24th). Following their outstanding 2018 UK tour which saw them play to sold out crowds across the country, the band will return to play 11 dates at the start of the new year, with this being their only Scottish date. 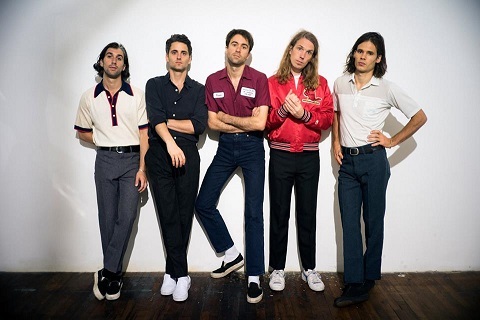 2018 saw the highly anticipated return of The Vaccines with their critically acclaimed fourth album Combat Sports. Catch the band performing singles from the album including “I Can’t Quit” and “Your Love Is My Favourite Band” as they kick off the tour in Brighton January 25th ending at London’s Roundhouse, February 8th.